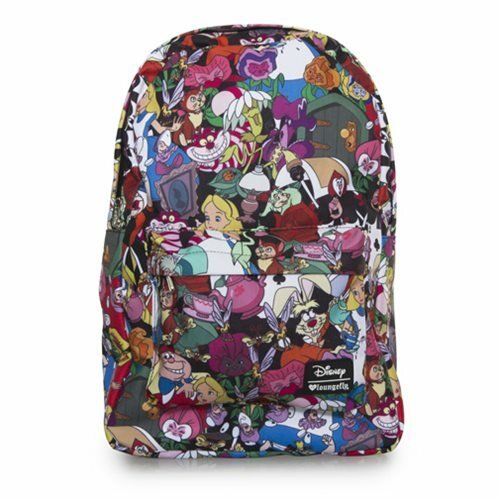 Shopping for Alice in Wonderland Backpacks? Alice, the Cheshire Cat, the Mad Hatter, Tweedledee and Tweedledum, and all your other favorites from the Disney classic appear in glorious color on this Alice in Wonderland Character Print Backpack. Made of printed nylon, it features an interior laptop pocket, an outside pocket, a handle, and straps and measures about 17 1/2-inches tall x 11 1/2-inches wide x 5-inches deep.